Swami Vivekananda visited My sore city in November 1892 as part of his parivrajaka wanderings through the length and breadth of India. 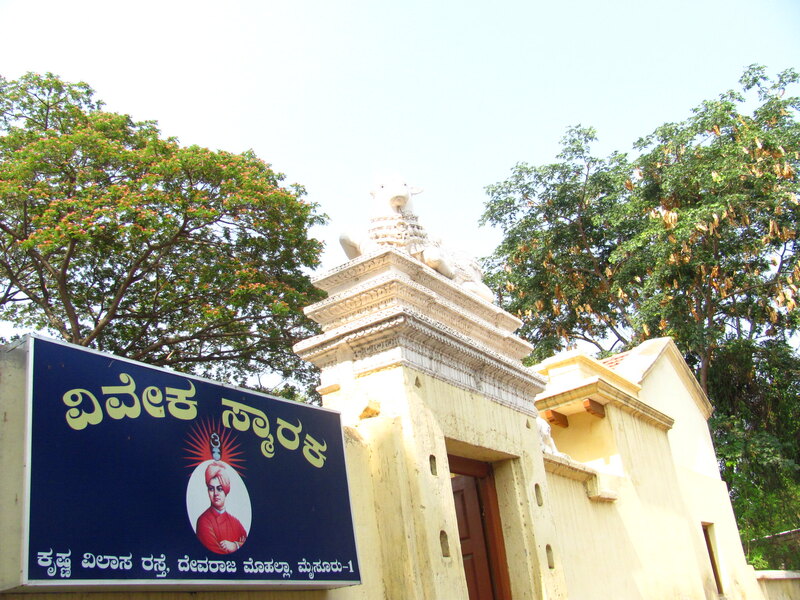 Though at that time he was unknown monk and his stay at Mysore was relatively short, he, by virtue of his extraordinary personality, erudition and spiritual magnetism, attracted the attention of a large number of citizens that included most distinguished and notable noblemen of Mysore like the Maharaja Sri Chamaraja Wodeyar and Sir Sheshadri Iyer, the then Dewan of Mysore State. 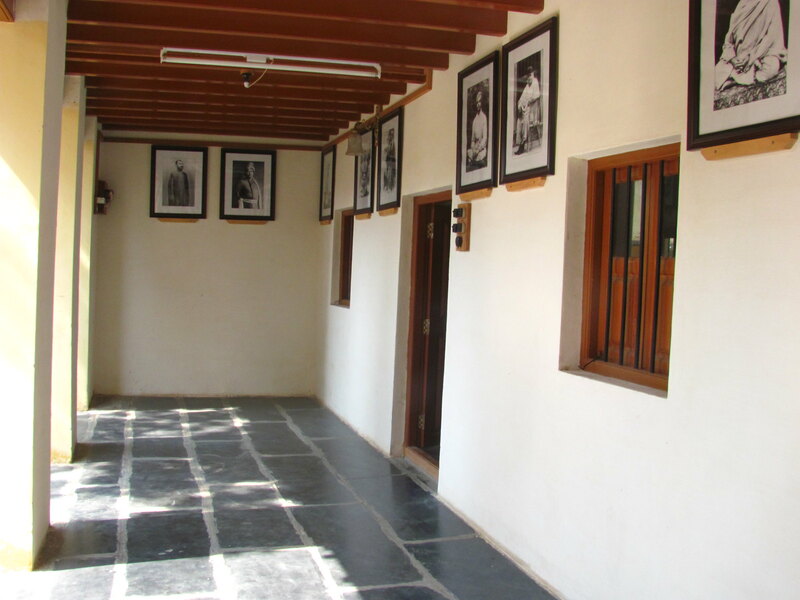 Swami Vivekananda in the initial days of his stay resided at the Niranjana Matha, on the Narayana Sastri Road that was centered around an ancient Shiva temple and located adjacent to the Dewan’s house, popularly called the Seshadri Bhavan. Later, he stayed for a few days with the Dewan as his guest. Deeply impressed by the brilliancy, wisdom, courage, patriotism and sincere adherence to monasticism of the young monk, the Maharaja requested the Swamiji to be his guest in the Palace itself. In the course of a few meetings with Swamiji, the Maharaja became so very close to him that he adored him. Further, the Maharaja readily offered to defray the expenses of Swamiji to participate in the World Parliament of Religions that was to be held at Chicago in 1893. The deep personal friendship between Swami Vivekananda, the Maharaja and the Dewan continued even after Swamiji left for Chicago. Swamiji wrote letters to both these personalities even from America. In the letter written to the Maharaja from Chicago, Swamiji discussed the social and economic conditions prevailing in India then and suggested solution to raise the poor of India. He wrote “he one thing that is at the root of all evils in India is the condition of the poor. The poor in the West are devils; compared to them ours are angels, and it is therefore so much the easier to raise our poor. The only service to be done for our lower classes is to give them education, to develop their lost individuality. Give them ideas- that is the only help they require, and then the rest must follow as the effect. Ours is to put the chemicals together, the crystallization comes in the law of nature. My noble Prince, this life is short, the vanities of the world are transient, but they alone live who live for others, the rest are more dead than alive”. Â The Maharaja and the Dewan regarded Swamiji as, The man born fo r the redemption of India, and as one in whom was incarnate the nation spirit. Impressed by the Memorandum submitted by the Trust to the then Chief Minister of Karnataka, Sri B S Yeddiyurappa, while on his visit to Mysore, the Chief Minister was pleased to spontaneously announce an immediate grant of Rs five crores to the said Project and this was also included in the relevant State Budget.